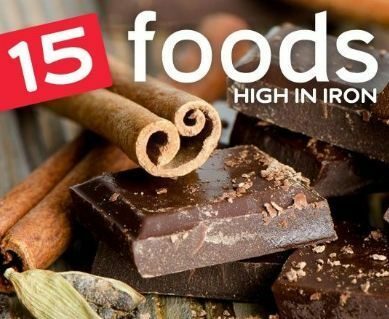 15 Key Foods To Keep You Healthy – As we are growing up, there are those things that our parents always tell us to do to stay healthy. There are the key foods that we need to eat plenty of to stay healthy throughout the day. By the time we reach middle age, we remember they do exist, but we forget what those key foods are. How about a refresher course? Skinless Chicken: Protein is the best thing to have. So if you are a chicken person, then skinless chicken is one of those key foods that you should have. Not only is it great, but its healthy too. Oatmeal: We all need fiber. This rids our bodies of toxins. If you see for an excellent healthy snack, then grab a bowl of oatmeal. Salmon: You might not be a fish person, but for healthy foods, salmon is one of them. Its one of those key foods that have protein. Apples: They always did say that an apple a day keeps the doctors away. This helps your blood sugar levels. Grapefruit: If you want something to break down all those nasty fat cells, then here it is. Its one of them healthy key foods. Soy Beans: Many people are getting these as they keep you healthy by keeping the fat away. Greens: everyone needs calcium to keep them healthy. Greens are loaded with them. Beets: One of the best cancer fighting key foods are beets due to the red pigment. Cabbage: This is said to keep you healthy due to the fiber content and purifying properties. Prunes: We know that they help us move things along. They work other ways due to the antioxidants in them that keep us healthy. Blueberries: These keep us healthy and are key foods due to the impact they have on memory. Pumpkin: Who doesnt love this fall treat? Well now, you should know that its healthy as it is high in fiber.Egg Whites: if you want to be heart healthy then these are ideal for you. Almonds: We all need minerals, and these give you a healthy dose of them. Chocolate: Indecent amounts, dark chocolate that contains at least 65% cacao is one of them key foods due to the antioxidants. As you can see you have some choices. You can eat healthily and still enjoy great tasting food!